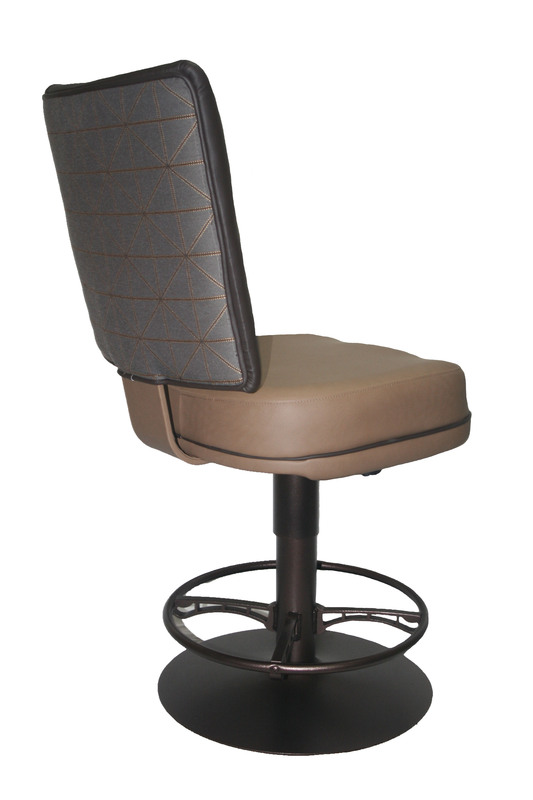 A custom Pinnacle chair with large ergonomic back with “plus” sewn in stitching on the inside back. 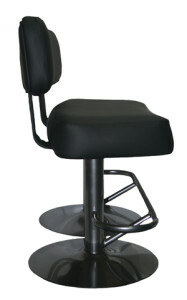 Has a 20″ wide seat, with new open tubular foot rest on the disc base. 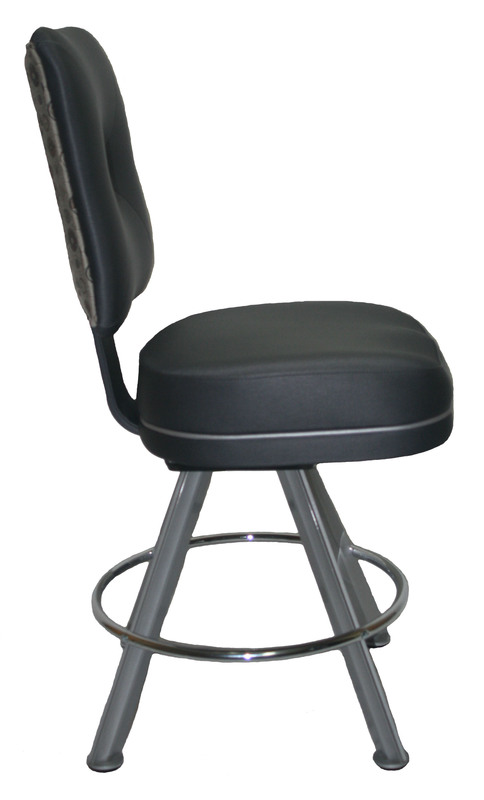 Disc base, foot rest, and back plate are powder coated. 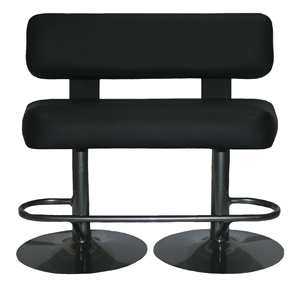 A new slimmer bench, features a curved back and seat, double base, and single open tubular foot rest. Base is powder coated. 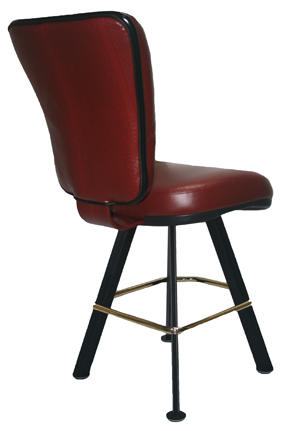 Our new PIN 7800 is a compound curve back with a new exterior metal pull handle . 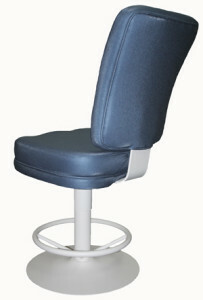 This chair also features an ergo waterfall style seat, with round footring on its contour base. Contour base and pull handle are powder coated. 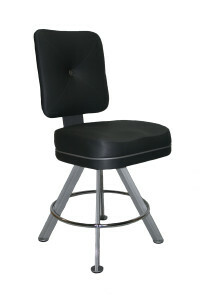 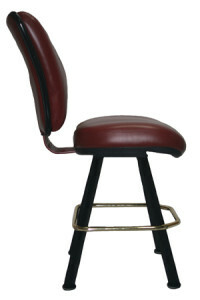 Our new PIN 7220 style back features a plastic seat pan seat bottom, instead of the standard wood. This chair also features an ergo deep waterfall style seat, with square extended footring on its contour base. A PIN 2000 with a little something different. 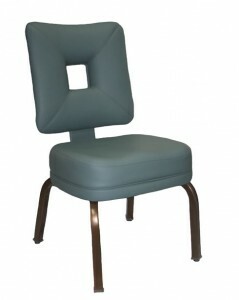 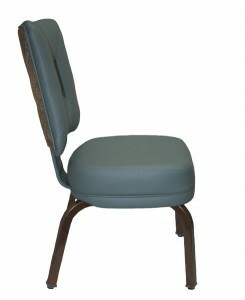 This 18″ square back features a x stitch with a 5″ by 5″ square hole that goes completely through the chair. 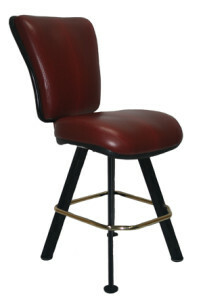 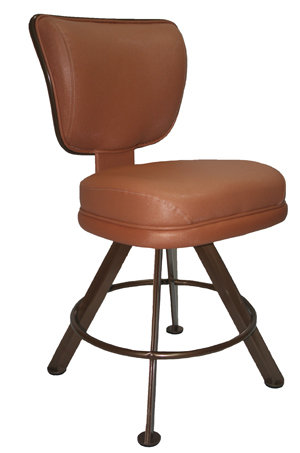 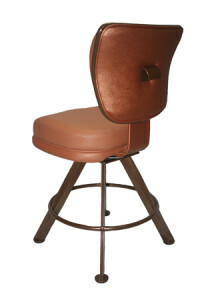 It has a custom 20″ seat with golden bronze powder coated poker legs. 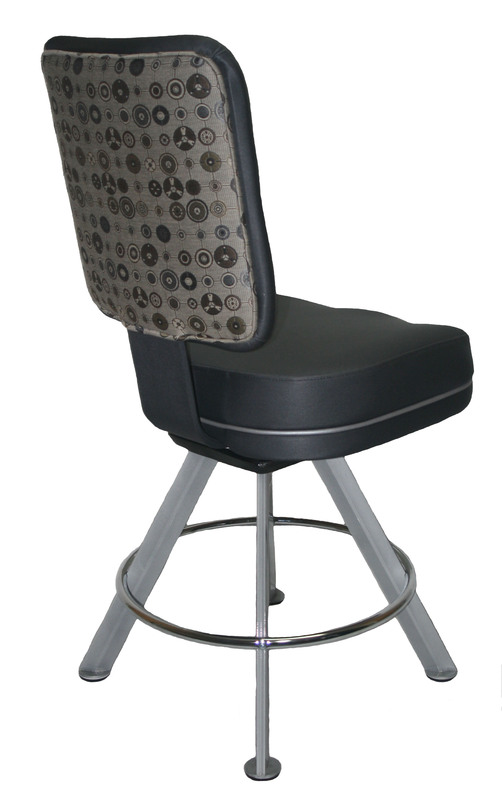 Introducing the an entirely new back design; the PIN 2000. 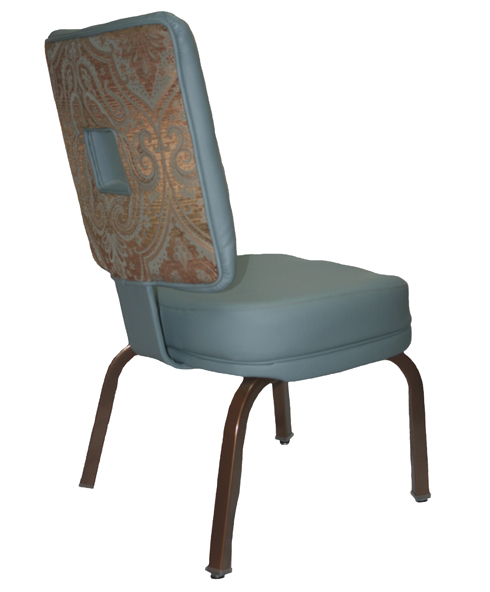 This 18″ square back features a x stitch and button detail on the inside back. 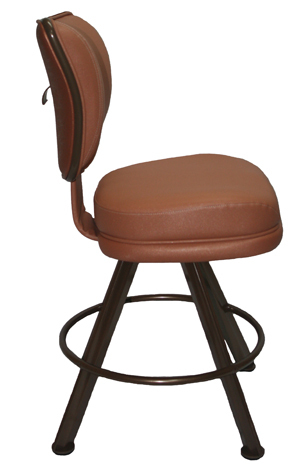 It has a custom 20″ seat, and a spoked disc base with copper vein powder coat. Introducing the a smaller version of the PIN 2000, the PIN 2050 This 16″ square back also features a x stitch and button detail on the inside back. 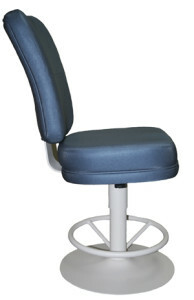 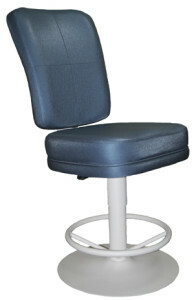 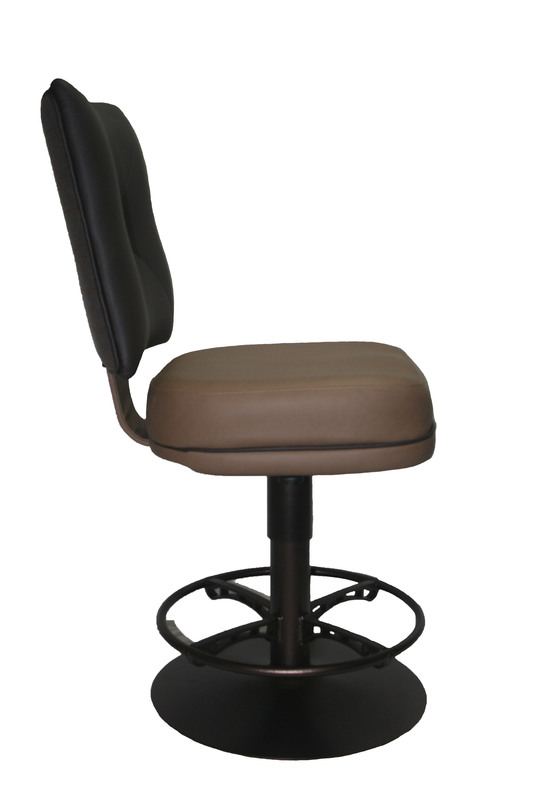 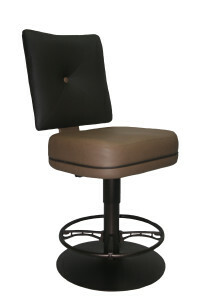 This chair has an ergo deep replacement seat, and a 24″ contour base with a round foot ring.